According to Comité Champagne, growth in 2016 was driven by the diverse range of cuvees markets, where as exports of €2.8bn have improved the results further for 2017. 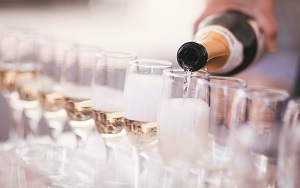 The French market has remained stable with a turnover of €2.1bn and since 2005, the Champagne region’s turnover has grown by €1bn. According to the figures, the US remains the number one export market by value with €586m, an increase of +8.5%. The UK sits second by value, which Comité Champagne said is due to the ‘Brexit effect’, with sales falling by -5.7% and volumes down -11%. Unsurprisingly, Asia is one of the top performing continents (up +15.5% in volume and +19.2% in value).